> Texecom Veritas R8+: this is our standard wired alarm system; the Veritas is a truly robust alarm that will last 20+ years with minimal problems. > Texecom Premier Elite: this is our standard wireless / hybrid alarm system; the Premier is a highly sophisticated wireless alarm based around Texecom’s Ricochet wireless technology (the most reliable wireless technology in the business). The Premier Elite is a hybrid system, with the option of using all (or some) zones as wired zones - providing great flexibility and expandability for the future. > LiveTalk monitoring: this is our unique *immediate audio-response* monitoring system, providing best-in-class emergency response, with audio-verification. We trust Texecom as our core technology provider, as they're proven to be market leaders in the security space; we're also proud to *buy British*. The Veritas R8 is the most robust wired alarm system on the market, lasting 20+ years with minimal up-keep and maintenance costs. The R8 comes with an LED remote keypad as standard, and has 8 zones. The three main alarm component layers of the R8 are the core alarm panel, keypad and sensors. 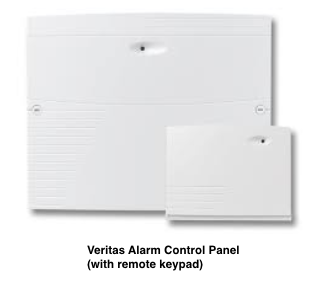 The Veritas alarm control panel has up to 8 zones, with a maximum of 2 remote keypads. 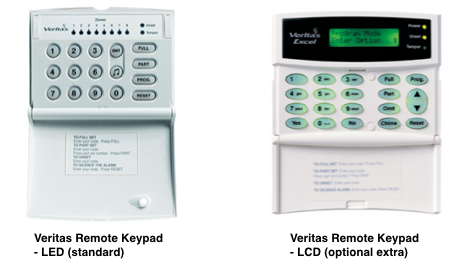 The Veritas comes with LED remote keypads as standard. There’s the option to upgrade these to LCD keypads if necessary. N.B. as a rule we’d recommend keeping the LED keypads as they’re easier to use, and less likely to cause a problem. 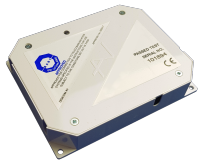 - PIR (Passive Infrared Detector): this is the standard movement detector. AMCO install 'pet-friendly' detectors as standard. - MIR (Microwave Infrared Detector / DualTech): this is a Dual Technology sensor, mostly used in scenarios where there’s rapid changes in temperature or light. For example, in a conservatory or room with many windows. 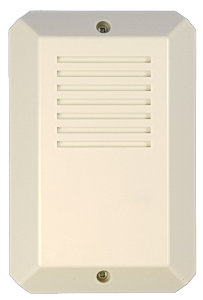 - Door contact: door contacts can either be ‘flush-mounted’ or ‘surface-mounted’, and come in white and brown colour options. - Vibration detector: vibration detectors are useful when you wanted perimeter detection, allowing you to move around the property. They’re also useful when owners have large pets. - Smoke detector: all AMCO smoke detectors are installed with ‘monitoring’ as standard - acting as an effective rapid response fire system. 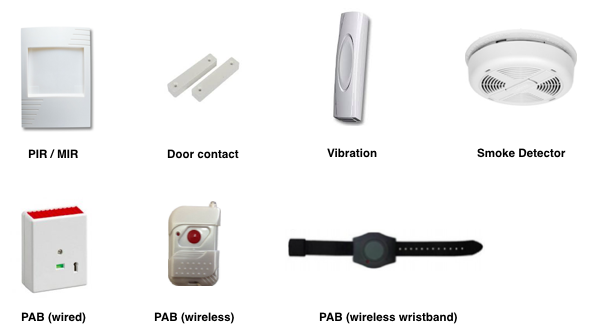 - PAB (Panic Attack Button): adding panic buttons to your system mean you have 24/7 emergency response. Wired and wireless PAB buttons are available. The Premier Elite comes with 32 wireless zones as standard, along with 4 wired zones, and has the ability to expand zones (both wired and wireless) with expander units - giving you up to 64 wireless zones and 12 wired zones in total. - PIR / MIR: wireless versions of both PIRs and MIRs are available, both use Ricochet technology. - Micro contact: these are discrete / small wireless contacts. Available in white, brown and dark grey. - Proxy Tag: near-field tags which allow you to turn on and off your alarm with a simple swipe. Proxy tags come in boxes of 5. 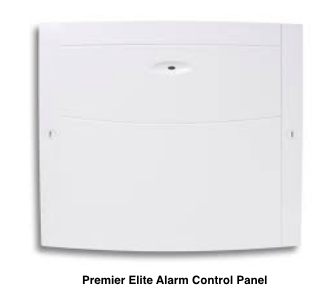 In addition to the core sensors above, the Premier Elite also comes with additional features giving you the ability to turn your alarm into a ‘smart alarm system’ and also allowing you to expand your system further (adding both wired and wireless sensors). - Smart key: a compact all-in-one-device that lets you set and unset your alarm, and also acts as a panic button. - SmartCom: a plug-in that turns your alarm into ‘smart alarm’ allowing you to control it via a smartphone device. - Smart plug: smart plugs allow you to connect additional devices (e.g. lights) to your alarm system, creating an integrated smart home system. - Wireless expander: wireless expanders (using Ricochet technology) allow you to add additional wireless sensors to your system, giving you the flexibility to easily expand your alarm system in the future.